To put it extremely simple, we build metal boxes. These metal boxes can be used for oil and gas, renewable energies, transportation, mining, food and beverage, power and utility…etc. These metal boxes can be small, medium, large, extra-large and even extra-extra-large. We have optimal space to build in our 55,000 sq ft factory warehouse located in Arvada, Colorado. They can be an empty metal box, just core and shell, or they can have parts that we integrate to make the metal box a turnkey product. We do everything from a junction box, bussed gutter, lighting control center, heat arrestor panels, PLC panels, enclosures, protective relay panels, walk-up switchgear, PDC/E-house, inverter skids, H-racks…etc. We promise the utmost quality, demonstrated by meeting all the statutory and regulatory requirements of ISO 9001:2015. We also offer UL and CUL listings for most solutions and applications. Our in-house engineers can custom design/build all metalwork and most controls or build to your specific designs. Split buildings are also a design option with third party PE Certification. Enclosures are available in aluminum and stainless steel. 3D modeling is also available and custom paint colors. We can build to NEMA 1, 3, 3R, 4, 4X and 12 standards standard. We offer a variety of NEMA enclosures that vary by the specific protection they provide. 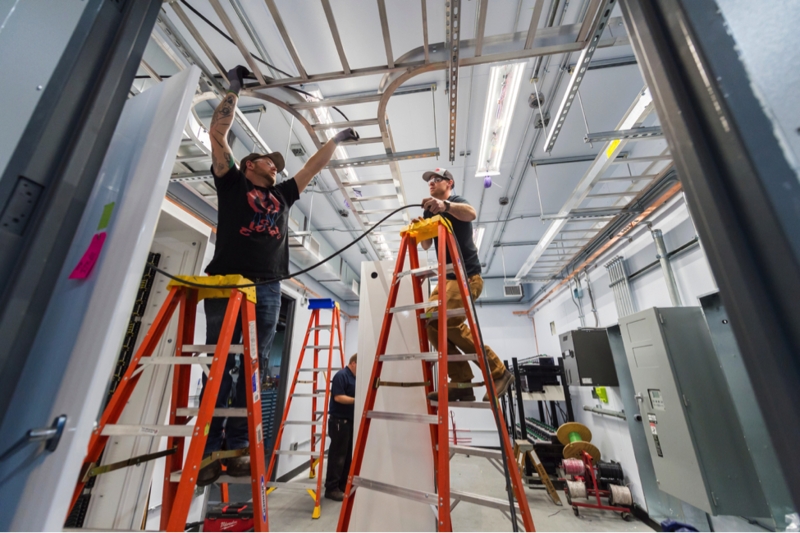 When designing enclosures, electrical safety must always be a primary concern. Easter-Owens enclosures are designed to National Electrical Manufacturers Association (NEMA) standards for enclosures for electrical equipment. 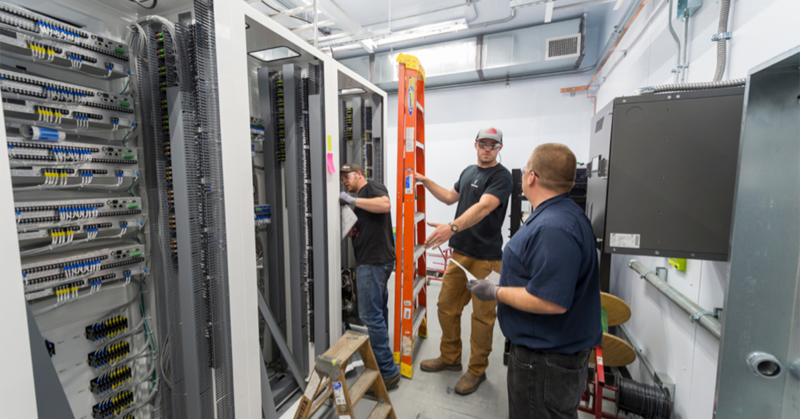 The featured project is a Power Distribution Center project was created for United Power Cooperative, a local Utility Company that is a not-for-profit electric cooperative, owned by the customer-members who receive electricity. 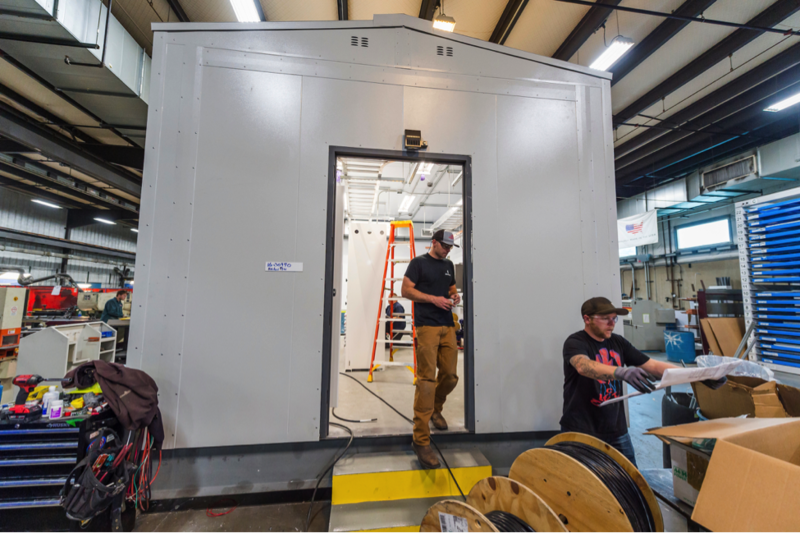 Within this building we manufactured a Mimic Panel, 13.2kv Xfmr Bus Differential Panel, 13.2KV Feeder Protection Panel, and a Field terminal cabinet. Easter-Owens has been doing business in Colorado since 1955. 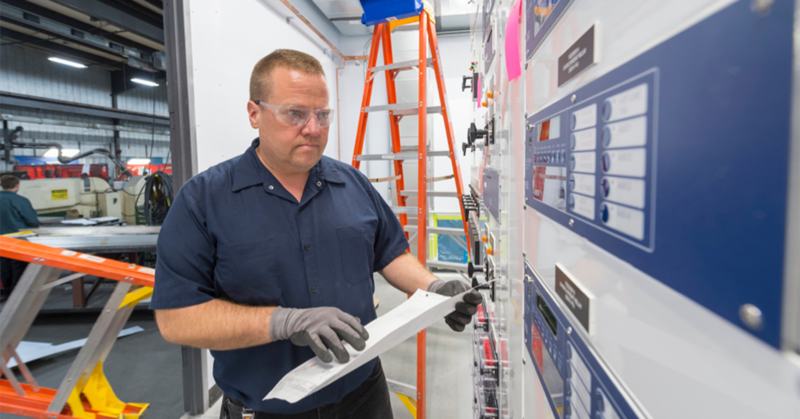 We specialize in electrical enclosures, security electronics, metal fabrication, power distribution and industrial control panels, and we have engineers in-house ready to create your custom design. To learn more about our products, please contact us.